Hypercom Corporation is a leading, global provider of electronic payment solutions that add value for consumers, merchants and acquirers. Hypercom products include secure card payment terminals and web appliances, networking equipment and software applications for e-commerce, m-commerce, smart cards and traditional payment applications. It is a public corporation, traded on the New York Stock Exchange under the symbol HYC. Headquartered in Phoenix, Arizona, USA, Hypercom maintains an installed base of more than 3.5 million card payment terminals operating in over 100 countries. Together, these terminals and appliances conduct more than 2.5 billion transactions every year. VeriFone® is a division of Hewlett-Packard Company and the leading global provider of secure electronic-payment solutions for financial institutions, merchants and consumers. They have shipped more than 9 million payment systems, which are used in more than 100 countries. Established in 1974, Lipman Electronic Engineering Ltd is a high technology publicly-held company whose shares are traded on the Tel-Aviv stock exchange. Their objective is to keep ahead of the competition through innovative action. Their business philosophy is to provide the most reliable, technologically advanced and most cost-effective product available. 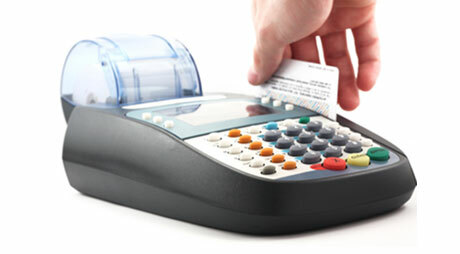 Today, Lipman's main product line revolves around the design and manufacture of advanced wireless and tel-line point-of-sale (POS) terminals and cash registers, betting and home services terminals, thermal and impact printers, PIN pads, smart-card readers, coin-operated or credit/debit/smart card controllers for integration into vending machine, commercial washer/dryer payment systems or numerous other card-type payment applications. Lipman continually strives to manufacture unique and sophisticated products that are: low-cost, simple to operate and program, systematically flexible being based upon well-thought out hardware/software integration, and finally but not least, quality assured. The engineering development department is continually researching new concepts and has demonstrated its ability to quickly respond to the ever present technological changes characterizing the field of data communications. Founded in France in 1980 by Jean-Jacques Poutrel, Ingenico has expanded worldwide as a result of implementing an aggressive acquisition strategy thus becoming the worldwide leader in secure transactions. Today, Ingenico's headquarters are located in France, employing 2000 people, with a presence on every continent, managing 20 subsidiaries and working with 300 distributors around the world. Dassault AT of America (DAToA) is based in Atlanta Georgia and is part of a world wide group with their head quarters located in Paris France. Offices world wide include Paris France, Madrid Spain, Bad Hersfeld Germany and Atlanta Georgia. Dassault sells terminals to all parts of the world and is the leader in Smart Card terminals installed world wide. Dassault has been in the EFT/POS business for 15+ years. The US operation has been in existence for three years. Dassault has enjoyed a world wide leadership role in the EFT/POS industry for many years. They currently are 7th in world wide EFT/POS installations and 1st in installed Smart Card terminals.